Home Accidents Obey Traffic Rules! Obey Traffic Rules! Numerous accidents occurred during the past week on local roads, in which only one person sustained serious injuries. On Monday, 29 January, at about 17:30, a bakkie and a truck were involved in an accident on the Dirkiesdorp road. 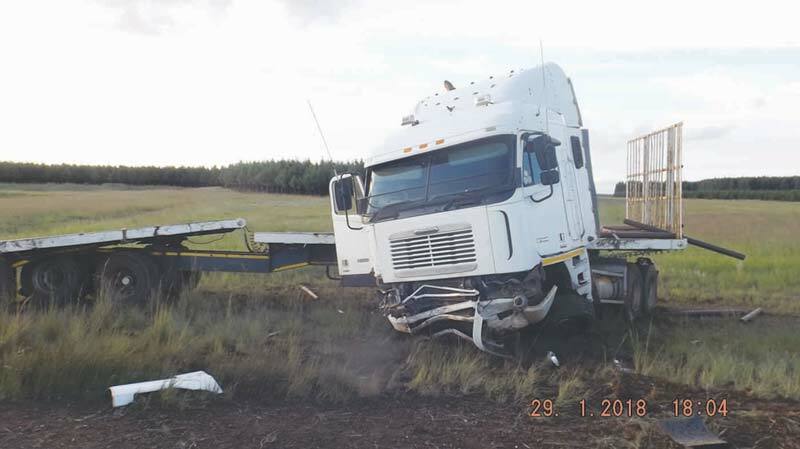 The driver of the truck was driving from Dirkiesdorp to Piet Retief. The driver of the bakkie came from a district road to turn onto the main road. The driver ignored the stop sign and collided with the truck. One person sustained serious injuries while another sustained light injuries in the accident. 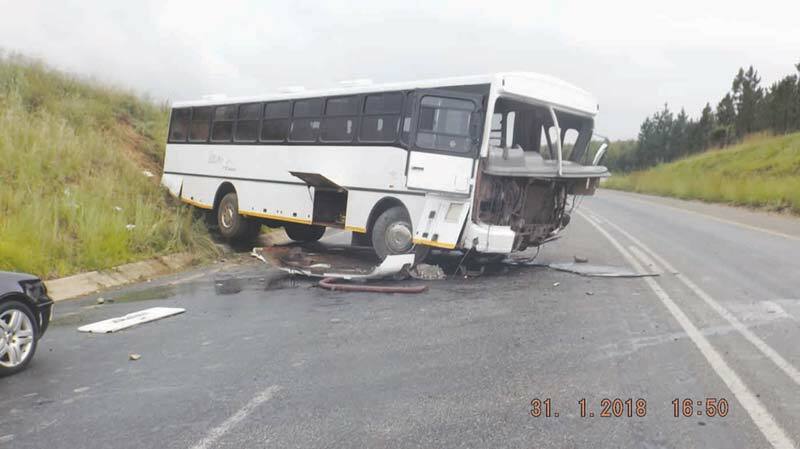 At about 16:50 on Tuesday, 30 January, an accident occurred on the Pongola road when the driver of a bus collided with a tractor towing a trailer. When the driver came around a bend in the road, he saw the tractor in front of him and applied the brakes to avoid a collision. As the road was very slippery, the driver lost control of the bus. No injuries were sustained. Residents are urged to drive cautiously on the Pongola road, as sections of it is very smooth and becomes slippery, especially when it rains. 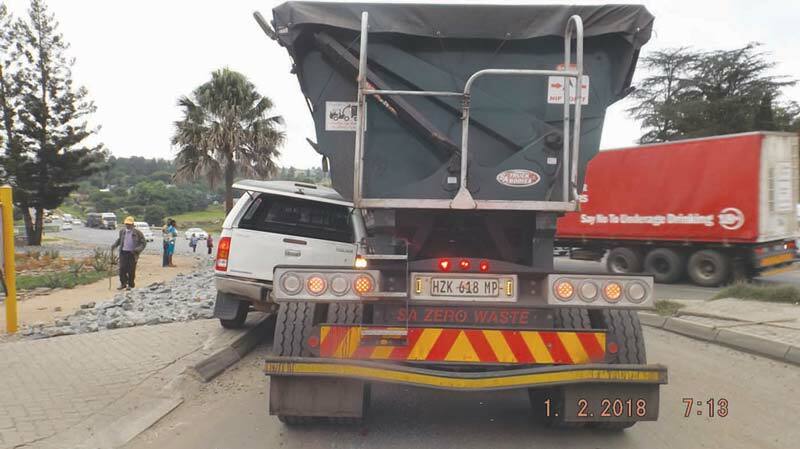 On Thursday, 1 February, at around 07:10 a bakkie and a truck collided on the slipway from Brand Street onto the N2 towards Pongola. The drivers of both vehicles turned left onto the slipway at the same time. 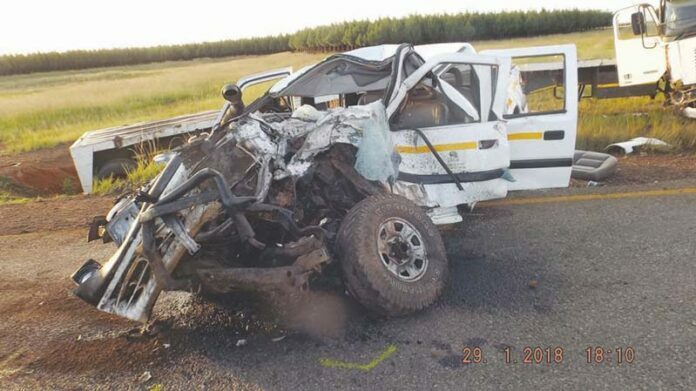 The bakkie was pushed off the road by the truck, but the Emergency Service personnel are still unsure what the true cause is which led to the accident. One person sustained light injuries in the accident. 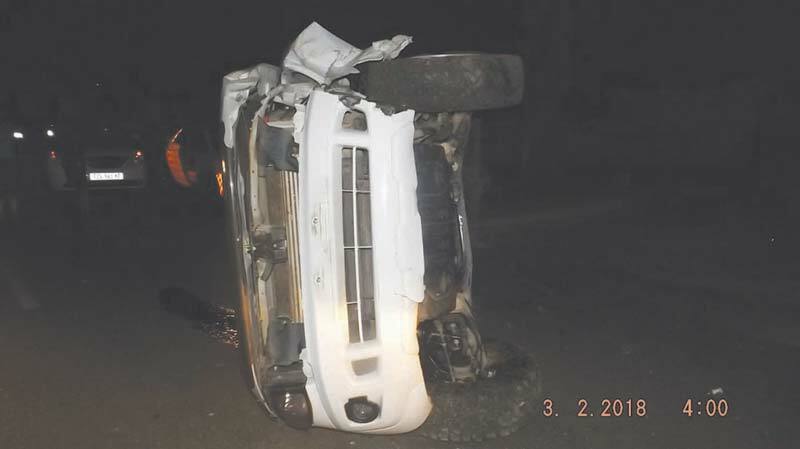 At around 03:50 on Saturday, 3 February, a bakkie was found in Tosen Street, lying on its side. It seems as if the driver of the bakkie collided with a tree, before the vehicle rolled. The driver fled the scene and Emergency personnel could not determine the events which led to the accident. 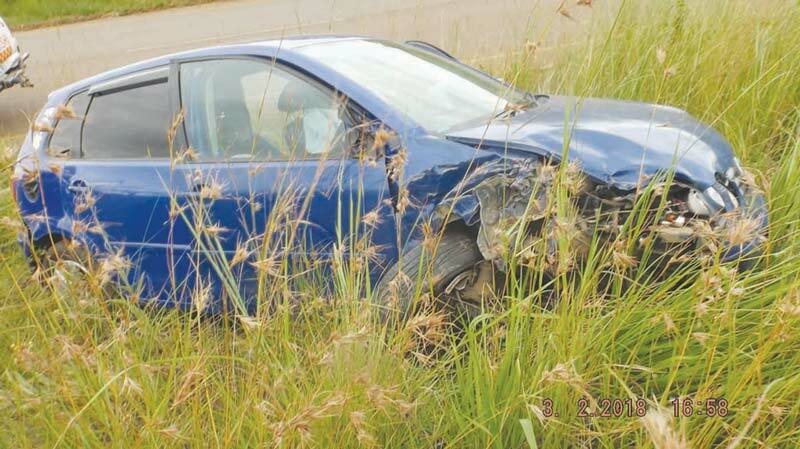 Also on Saturday, at around 16:30, the drivers of two Polo Vivos were involved in an accident on the Mahamba Road. 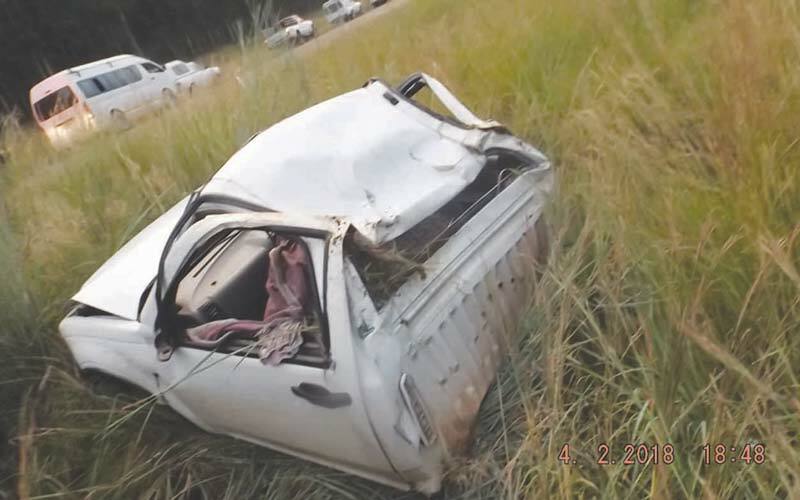 The driver of the red Polo Vivo was travelling towards Mahamba. 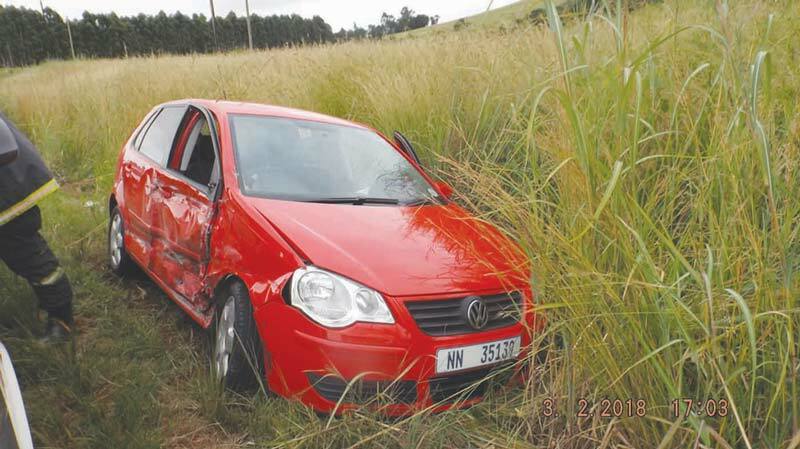 The driver of the blue Polo Vivo was travelling towards Piet Retief, but on the wrong side of the road. The two vehicles collided and the driver of the blue Polo Vivo fled the scene. One person sustained light injuries in the accident. At around 17:30, on Sunday, 4 February, the driver of a bakkie lost control over his vehicle on the Luneburg road. At this stage the details of the accident are still unclear, but it seems as if the driver lost control of the vehicle and it went off the road and rolled. The front cab of the vehicle broke off its frame and the engine also fell out. One person sustained light injuries in the accident.